Not that this news would make much difference to a majority of smartphone owners, but it’s still worth sharing. Microsoft is ending support for Windows Phone 8.1, which was introduced three years ago. 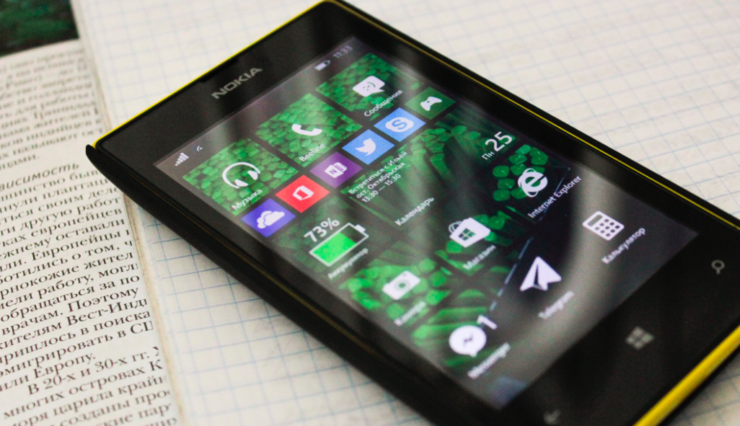 Effective from today, Microsoft would no longer offer support for the Windows Phone 8.1. It’s worth noting that according to the last month’s census by AdDuplex, Microsoft’s Windows Phone 8.1 comprised nearly 75% of all Windows Phone devices and if you throw in earlier versions – Windows 7 and Windows 8.0, that figure comes near to 80%. It means that the latest Windows 10 Mobile comprises of just 20% of Windows-powered smartphones. Well, it’s convenient to say that we all had seen it coming when Microsoft killed its smartphone operations that it proudly acquired from Nokia years ago. By ending support for the Windows Mobile 8.1, Microsoft is not giving up on the entire mobile phone business as Windows 10 Mobile shall still be in operation for the foreseeable future. Microsoft’s mobile share fell below 1% in the US (according to Kantar), and that’s the reason enough to get rid of its software responsibility and hence the decision of killing Windows 8.1. For the few users out there who are unfortunately using a Windows Phone running 8.1, Microsoft has announced that July 11, 2017, was the last working day for the OS version. From hereon, your device shall not receive any update from Microsoft including the additional security updates. It is highly recommended not to use Windows 8.1 phone as without security updates it is prone to virus attacks. Regarding Microsoft’s place in the world of smartphones, the company is doing a good job on ensuring some space on your smartphone screen through its MS Office apps on Android and iOS. There’s a fair chance that eventually Windows 10 Mobile would suffer the same fate as its previous versions, which means that Microsoft has to tighten its ropes on maintaining its spot on cross-platforms through utility apps. Do you own a Windows Phone 8.1 smartphone? What’s your take on Microsoft’s decision to end support for Windows Phone 8.1? Share your thoughts in the comment section below. MSI GL62M 7REX, OnePlus 5T, Lenovo Legion R720, Xiaomi Mi Note 2 And Other Really Cool Gadgets Are Off By 24% In A Limited Time Offer – Take A Look!